Emily grew up in Owensboro, Kentucky and came to Lexington in 1999 to attend the University of Kentucky College of Architecture. Her love of architecture began in a high school drafting class which evolved into independent studies in the technology department where she completed all of the technology classes offered. Emily began working for Snapp and Associates after graduation and transitioned with the firm in 2012 as an employee of REB Architects. Through her time with our firm, Emily has developed a wide array of experience including mixed-use facilities, multi-family housing and historical sites of varied funding sources including state and federal funding as well as private monies. 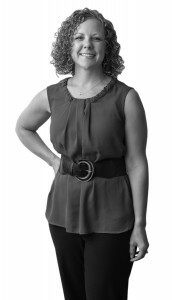 She works closely with many repeat clients and consultants, and spearheads most of REB’s multi-family housing projects. Emily enjoys camping with her husband and daughter, cooking, and recently completed the construction of her own home.